The majority is still at the General’s disposal. Jared Sparks was born in Willington, Connecticut, USA. He was an American historian and educator. 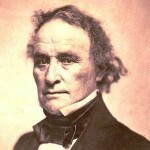 He served as President of Harvard College from 1849 to 1853. He earned a AB degree in 1815 and an MA degree in 1818, both degrees from Harvard College. In 1824-1830 he was Owner and Editor of the North American Review. In 1838–1849 he was the first McLean Professor of Ancient and Modern History at Harvard. He wrote several books include: Memoirs of the Life and Travels of John Ledyard, The Diplomatic Correspondence of the American Revolution, life of Gouverneur Morris(biography), Life of George Washington(biography), and Life of Ethan Allen(biography).